Here at Craftech, we have a long history of working with a wide variety of materials to create plastic hardware that is catered specifically to your application. Craftech’s plastic hardware comes in over 100 different high performance plastic materials. We’ll even work in metal, wood, and ceramics if your project calls for it. Over the years, we have found that some of our plastic hardware products actually perform best when more than one material is used in each part. This article will explain how these multi-material combinations are used and why we stand behind these plastic hardware products. Many of Craftech’s multi-material plastic hardware can be found in our line of tube and hose fittings and accessories that are utilized in fluid and gas delivery systems common to the industrial and medical industries. Many of the fasteners, such as check valves, threaded check valves, duck bill check valves, reducing check valves, and enlarging check valves designate two material specifications. One material is used for the diaphragm of the plastic hardware while the other is used for the body material. The diaphragm design helps regulate the flow of gas or liquid based on increases or decreases in pressure on either side of the membrane. The choice of material type is directly correlated to the type of liquid or gas being transported within the overall delivery system. Choices in body material are typically a function of the surrounding environment conditions, aesthetics, or in the case of polycarbonate; a desire to see directly into the fitting. Using two materials ensures that the plastic hardware has optimal function within its environment. 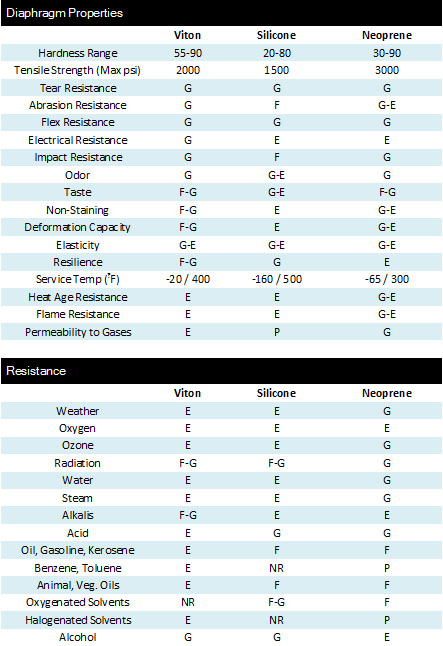 The chart below highlights the properties and relative performance values of three of the most popular diaphragm materials. You can see that each material has individual strengths and weaknesses. In-line filters are another great example of Craftech’s multi-material plastic hardware. Also utilized in gaseous or fluid delivery sytems, Craftech offers a variety of in-line filter fittings that are designed for the removal of visible particulate in aqueous solutions and gas streams. These filters are typically made of stainless steel or high-density polyethylene (HDPE) depending upon the type of gas or liquid being transported through it. Stainless steel filters are acceptable for use in fluid and gas streams requiring a strong filter media for larger particles. The alternative HDPE filter options employ a micro-pore technology thus providing a filter media that will capture virtually all minute particles in the applied system. Like the check valves referenced earlier, the in-line filter housings can be manufactured from nylon, polypropylene, or polycarbonate depending upon the application and surrounding environment. These are just a few examples of multi-material plastic hardware’s applications. 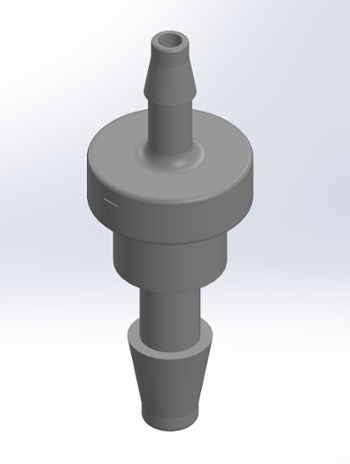 We are always working to develop new, high quality plastic hardware. What material combinations have worked for you in the past? Do you have any suggestions for killer combos? Let us know in the comments box below. View the plastic hardware mentioned in this article along with our full line of plastic fasteners and components!